Dr. Firdous Ahmad Khan is an Assistant Professor within the Large Animal Medicine and Surgery Department in the School of Veterinary Medicine. He is a board-certified theriogenologist with a special interest in bovine, equine and canine theriogenology. His research focuses on ovarian follicular dynamics and luteal development and regression in cattle, buffaloes and horses, anestrus in cattle and buffaloes, cystic ovarian disease in buffaloes, early embryonic development and the effect of heat stress on pregnancy in cattle, and endometritis in cattle and horses. Prior to joining SGU, Dr. Khan worked in research at the University of Wisconsin-Madison and the University of Florida-Gainesville and held a theriogenology instructor position at the GB Pant University of Agriculture and Technology, India. 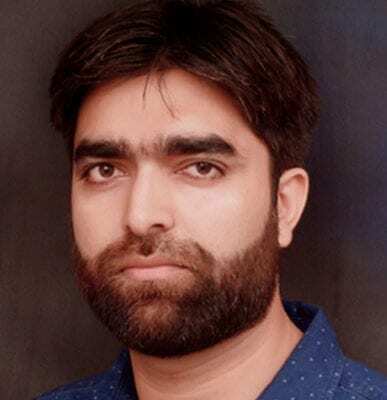 Dr. Khan earned his BVSc from the Sher-e-Kashmir University of Agricultural Sciences and Technology, India in 2008 and MVSc from the Indian Veterinary Research Institute in 2010. He received his DVSc from the University of Guelph, Canada in 2016, and completed his residency in theriogenology at the Ontario Veterinary College, University of Guelph. Dr. Khan became a Diplomate of the American College of Theriogenologists in 2016.